Do You Know Quality Seed and Where to Get It? Catalogs from some of our recommended companies. The easy answer is to purchase your seed from one of the companies on our Recommended Seed Company List. This works great if you have come to trust our process of evaluating companies. I am not an “activist”, it is has never been my interest or my bent, yet I do “vote with my dollar” and so choose to support companies who have the values I consider important. To that end, each year I research companies, read a pile of seed catalogs and compare varieties and plant lists of those folks I know and trust and those I don’t. It has become clear that in addition to the current 13 criteria we use to evaluate a company, two more need to be added. Here are our additional criteria and why we added them. See the first 13 criteria. Does the company sell varieties that are owned by companies who engage in genetic modification of seeds? One company in particular, who was on our list for years, has staunchly continued to offer a small percentage of varieties owned by Monsanto. Granted, most of these varieties were not bred by Monsanto, but were bred and owned by companies who Monsanto bought a few years ago. For those like us, who do not want to support companies who engage in genetic modification of seed, the act of buying from a company who buys from a company who engages in genetic modification of seed, is indirectly supporting companies who engage genetic seed modification. Prior Unity Garden does not support this activity. Therefore any company who buys seed from companies who create GMO seed will not make our list, even if they have signed the Safe Seed Pledge. You may be thinking, but if they signed the Safe Seed Pledge, then they are not selling GMOs, right ? Generally speaking, you are correct, they are not selling genetically modified seed, but they can still sign the Pledge and sell seed that is not genetically modified from companies who make GMO seed. Doing this practice now excludes a company from being on our recommended seed company list. Does the company actually grow the varieties they sell? There are ‘seed houses’ who are resellers of seed only, buying seed wholesale and reselling it. They may grow some of it, but do not really have field trials, so are not really in touch with the varieties they are offering. We have found the seed quality and reliability from these companies to swing wildly and these companies do not have people you can talk with about growing specific varieties they offer. While this may be fine for some folks, we find it frustrating when evaluating specific varieties for growing traits our clients have requested. In effect, you become the testers. Because we want to recommend the highest quality seed companies how offer the highest quality seed, we will not be putting companies on our list who do grow all or most of the varieties whey offer. These companies simply cannot support what they sell to the high degree other companies can. In some cases, a company will offer seed from a variety of local farms and this is a practice we love seeing as it supports small local farms and seed. In this case, the seed house may not trial every variety, but their partner farms are growing seed and this practice has proven to be an excellent marker of quality seed, in part because the farm’s name is on the seed. These companies do make our list. Granted, most of them also test all or most of the varieties they offer. As large Agribusinesses buy out smaller companies, this question is becoming more important. It used to be seed companies be handed down through generations of a family. Now, it is good to know and sometimes difficult to find out. Often the Agribusiness does not want their ownership known. Call the company, see what is written in the catalog and website. The point here is avoiding supporting agribusinesses who engage in generic modification of seed. Companies who are owned by large agriculture businesses will usually sell varieties they own, so knowing what those varieties are, helps you discern if you want to support that business or not. You can make the process easier and let us do the research for you. See our list of Recommended Seed Companies and/or the rest of our Seed Company Criteria. Bountiful Gardens was much used by Russell when he gardened in California and we have found their seed grows great in Virginia. 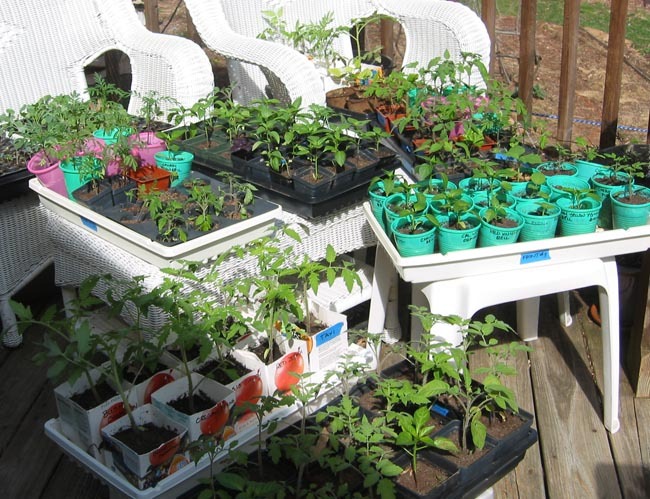 Some readers may have heard of Ecology Action, John Jeavons or his Grow Biointensive® method of gardening. Bountiful Gardens is John’s seed company associated with Ecology Action. As they say on their homepage, all their seeds or open-pollinated, non-GMO & Seed Saver friendly. These guys are out to feed the world, in a sustainable organic way. They have taken the Safe Seed Pledge. 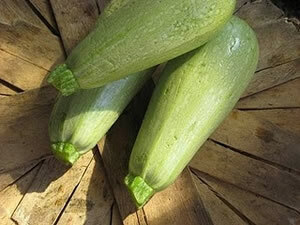 I admit to being in love with their Light Green Lebanese summer squash and their Orange Jelly Turnips. 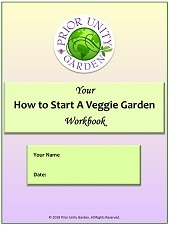 Their seed packets are perfect for home gardeners because they are small in size, with a price to match. We also enjoy the diversity of varieties they offer, including plants we have not seen elsewhere, often from the diverse countries in which they help farmers. We are not much for seed mixes, but Bountiful Gardens has a Good Companions Collection which is great for anyone wanting to begin companion planting, including flowers and herbs. 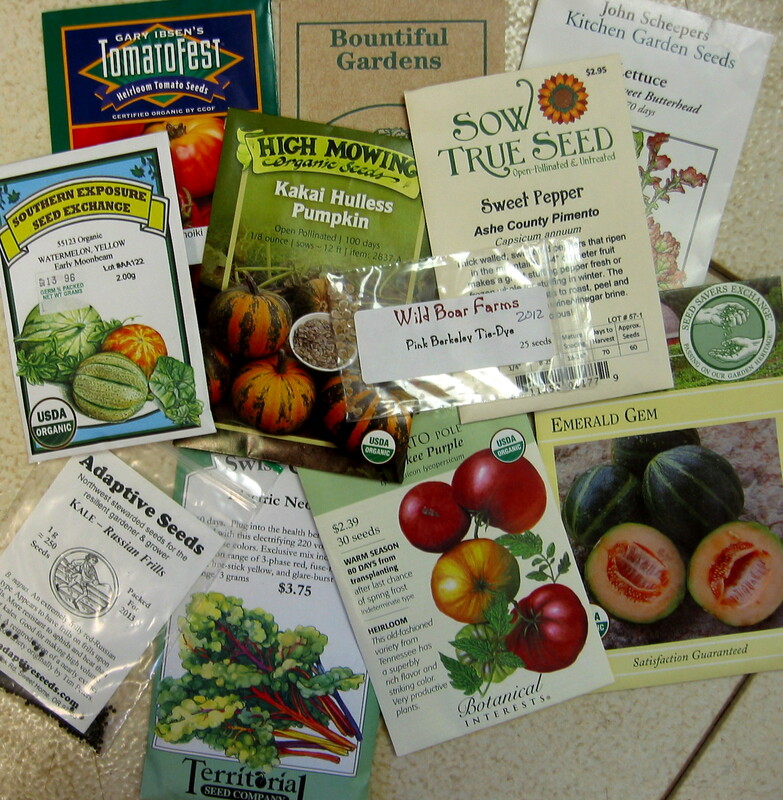 The collection has each variety in separate seed packets, a must for a good seed collection. 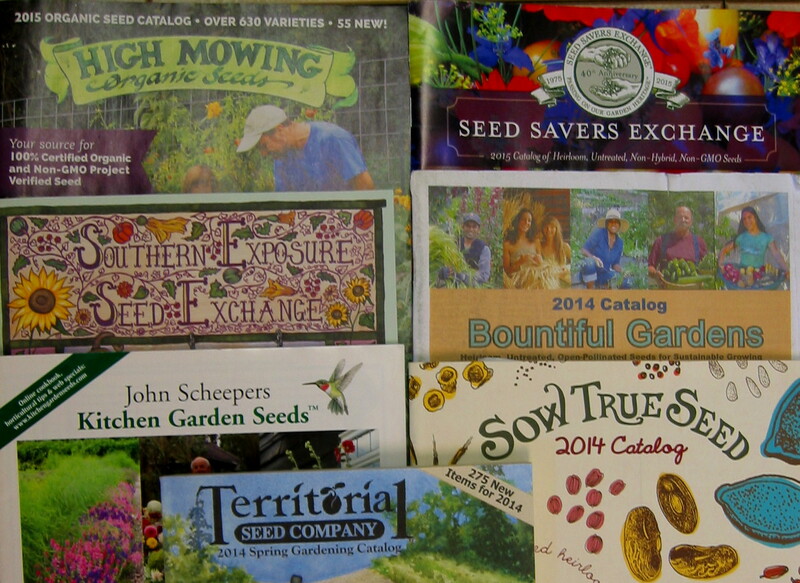 They have the widest selection of books and publications of any of our seed catalogs, so if you are looking to expand your library, Bountiful Garden’s catalog is a good place to see what is out there. Do you know about the Safe Seed Pledge ? It is a delineation of the Safe Seed Initiative by the Council for Responsible Genetics. Companies who adopt this pledge do not knowingly buy or sell genetically engineered or modified seeds or plants. Some people poo-poo the list because some of the companies who signed the Safe Seed Pledge had purchased some seed from Seminis seed house that was subsequently bought out by Monsanto – hence the perceived link between some honestly safe seed companies and Monsanto. These companies responded and stopped buying seeds from Seminis, to be true to their Pledge and their values. The other reason the Safe Seed Pledge is poo-poo’d is because of the phrase “we pledge that we do not knowingly buy or sell genetically engineered seeds or plants ”. The word ‘Knowingly’ has been criticized as not good enough, but is used because of the possibility of contamination from genetically modified plants, by such situations as wind bringing pollen onto an organic farm, which is out of the control of the farm (and isn’t making them happy either).